Varèse Sarabande is excited to announce the first-ever double LP release for V for Vendetta - Original Motion Picture Soundtrack on October 5, 2018. This premiere of the V for Vendetta soundtrack features new jacket artwork of the masked face of V designed by "Ghoulish Gary" Pullin, who previously designed album covers for soundtracks to Wes Craven's Scream and John Carpenter's Christine. Like the thousands of "Guy Fawkes" masks donned in the film's pivotal scene, a wearable mask comes included inside the package! "Remember, remember, the Fifth of November, the Gunpowder Treason and Plot. I know of no reason why the Gunpowder Treason should ever be forgot..." Emerging from the mind of comic book genius, Alan Moore, V for Vendetta hit theaters in 2006 grossing over 70 million domestically and 62 million at the international box office. 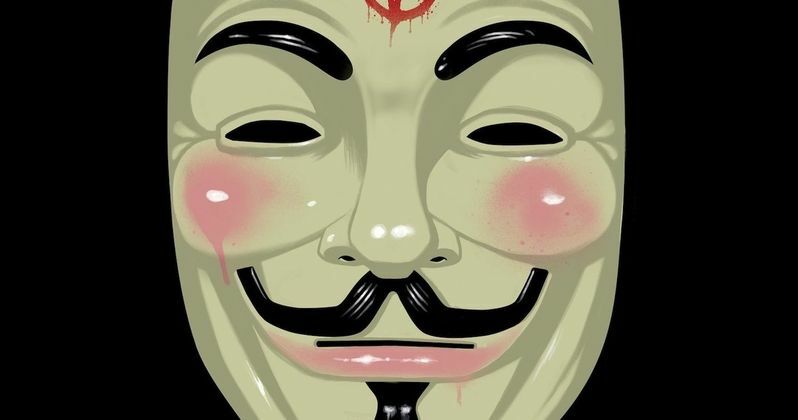 While the film was a success, it is the "Guy Fawkes" mask worn by the character V that has become the modern cultural symbol of uprising against totalitarianism and corporate greed. With score by Oscar winner, Dario Marianelli, the V for Vendetta soundtrack features tracks from Cat Power and Antony and The Johnsons as well as a song from 1950's Jazz artist, Julie London. Known for his work on period pieces such as Pride And Prejudice and Anna Karenina, composer Dario Marianelli won the Academy Award for the score to Atonement. Arguably Dario's most culturally significant work is tied to the "Guy Fawkes" mask, an image for rebellion, most notably used by the online anarchist group, Anonymous. V for Vendetta is available on VOD in most major U.S. markets and recently joined the Netflix lineup as of October 1, 2018. Varèse Sarabande is excited to announce the first-ever vinyl release for V for Vendetta - Original Motion Picture Soundtrack on October 5, 2018.